Once upon a time, while Boy and Girl were making Toas-Tites at their house, there lived another Boy and Girl in the same city…a Sodium Girl to be specific. Not only do we live in the same city, I am lucky enough to call Sodium Girl (and Boy) family. While the name may deceive you, Sodium Girl is all about low sodium, heart healthy, and very delicious food. This year, Boy and I were lucky enough to be invited to the Love Your Heart Recipe Rally. Check out last year’s rally to see some awesome recipes. The rally is in celebration of Heart Health Awareness Month, also known as February. And as millions of Americans live with hypertension, heart disease, diabetes, and a host of other chronic conditions, it’s a great time to remind ourselves that there are simple, non-medical, and tasty ways we can keep our hearts healthy and strong like eating a low-sodium diet. But in a world where salt shakers are everywhere, how do you get flavor while cutting down on the sodium? That’s where culinary inspiration comes in. And maybe a little bit of experimentation too. For our challenge, we wanted to de-salt something seriously salty. So we decided we’d take on one of our favorite Toas-Tites and sandwiches in general. The Reuben. 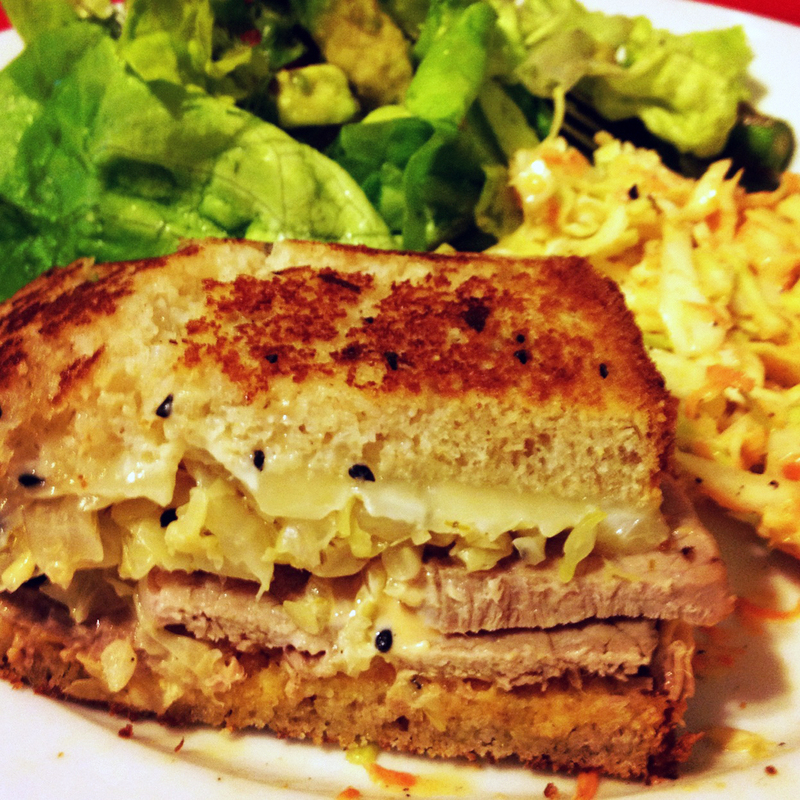 The Reuben sandwich is a hot sandwich of layered meat, sauerkraut and Swiss cheese, with a dressing. These are grilled between slices of pumpernickel or rye. The meat is either corned beef or pastrami, and the dressing is either Russian or Thousand Island dressing. Several variants exist. Usually, store bought rye bread, corned beef, Thousand Island dressing, sauerkraut, and Swiss cheese are very high sodium foods. It was going to mean a lot of cooking but it was worth it. A Reuben sandwich we could share with Sodium Girl and her Boy. Our process mostly involved researching full sodium recipes and modifying them to bump up the flavor and cut out the salt. But it was actually not until we finished our experiment that we compared the full salt Reuben to our homemade low-sodium one. When we did, we were amazed. For the full salt one, we used the USDA National Nutrient Database (cooked corned beef, canned sauerkraut, commercial dressing, and so on) comparing the same quantities of sandwich makings we had used. For our own recipes, we used a recipe calculator and based our nutritional value on the rough number of servings (of a certain weight) we had gotten. Of course, all of the numbers below should be taken with a grain of…pepper….because the total value of sodium per sandwich will depend on the brand of bread, brand of Swiss cheese, exact weight of your brisket, type of milk you use for your bread, etc. Now that the disclaimers are done, on to the numbers! Mix the beer, sugar, and spices in a large bowl. Pour the beer and spice mixture over the brisket. Reduce the heat to medium-low. Cover and cook until the meat is tender to the fork (about 2.5 to 3 hours). Remove the brisket, leaving behind the liquid and the spices. Slice the meat across the grain and get ready for sandwiches. Generally, the meat was fantastic in the sandwich. That said, if I had been eating it by itself, I would have been disappointed that it wasn’t more moist and the flavor wasn’t quite as punchy. In the sandwich though, it was great. As Sodium Girl’s Boy pointed out, the stars of the sandwich flavor-wise are really the sauerkraut and the Thousand Island dressing. Next time, we’re going to try it in a slow cooker to see if that keeps the meat more tender. 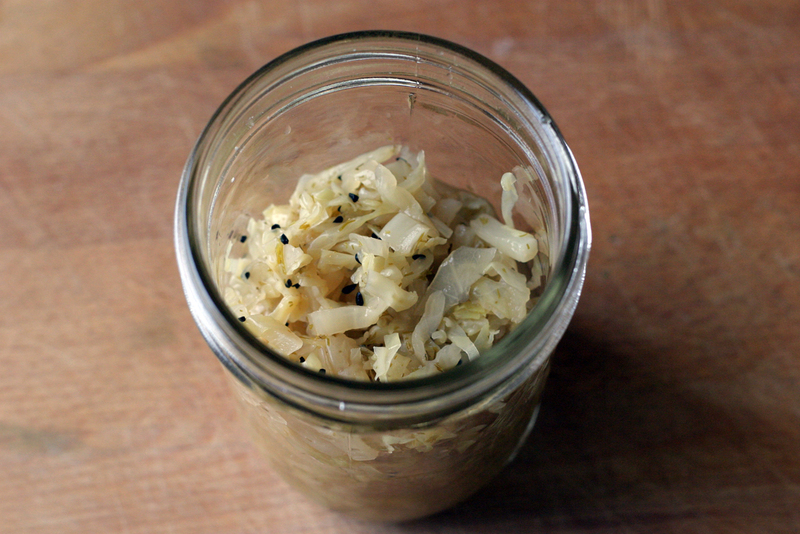 In a medium pot, add the cabbage, apple juice, vinegar, water, dill, mustard, and caraway seeds and bring to a boil. Cover, reduce the heat, and simmer for approximately 30 to 45 minutes, until the cabbage is tender. Add a little water if the sauerkraut gets too dry. Remove from heat, let cool, and enjoy! It can keep for up to two weeks in an air-tight container in the fridge. Based on the Emeril Lagasse recipe, Boy modified our bread to use unsalted butter, one less egg, no salt, a bit more caraway, and warm water. Please reference Emeril’s recipe for the instructions. Add the water at the very end when kneading the bread to achieve the appropriate consistency. And if you have any questions, Boy is our resident bread baker and a really fantastic one at that! Making your own bread is something of an art. One I personally cannot explain (though Boy can). 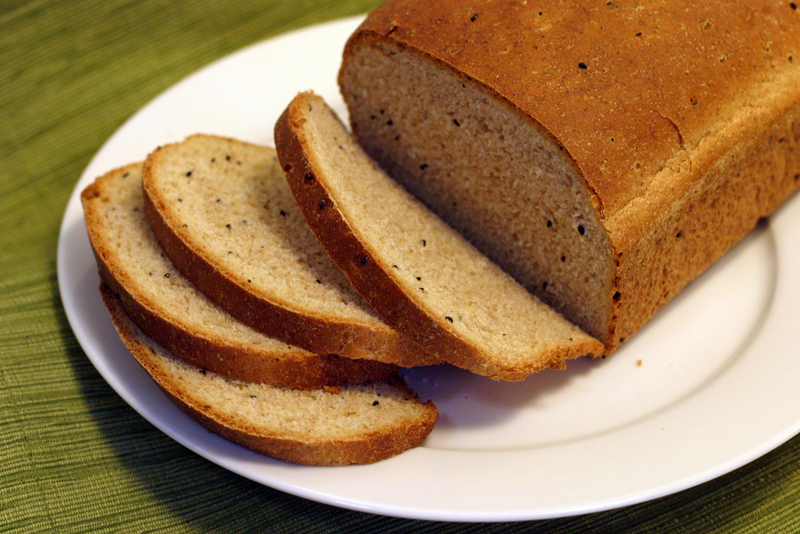 So in this case, if making your own bread isn’t in the cards, there are some good low sodium bread options in stores like Ezekiel 4:9 Low Sodium Bread. 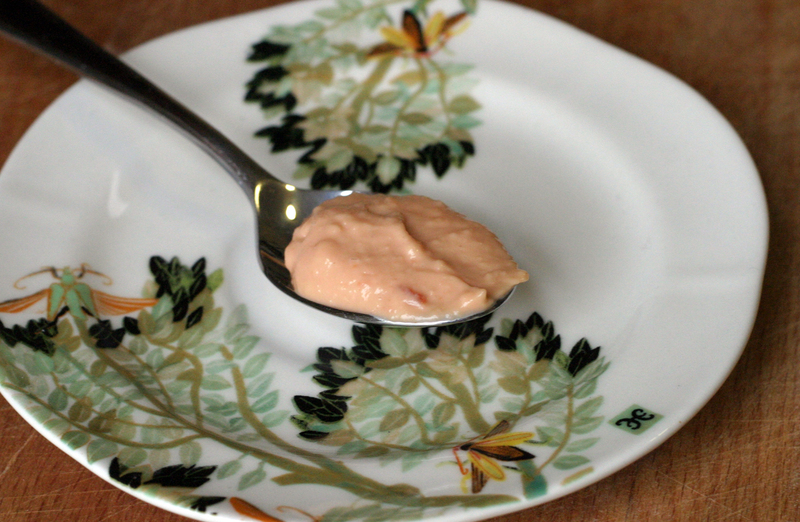 * Homemade mayo is not only delicious but it can be made much lower sodium than most store bought types. Plus we have a recipe below! That said, if you can find low sodium, you can use that too! Just check the nutritional info. Blend on high until the horseradish and the onion are fully minced and integrated with the ketchup and mayonnaise. Stir it all around with a spatula to make sure it’s thoroughly blended and get ready for delicious time. This dressing – is awesome. Yeah, that’s right. Awesome. It was hard to stop myself just poking my finger in just so I could lick it off. But on a serious note, beware of horseradish. It is crucial to make this dressing but it is a potent smell in your kitchen and in your fridge. Worth it though. Oh so very worth it. Let all your ingredients come to room temperature. Using a whisk, whip the egg yolks, vinegar, and lemon juice for a minute or two, until they’re thoroughly beaten and they are bright yellow. Whisking as quickly as you can, add the oil very slowly in a slow, thin stream (or even one drop at a time) – it helps to have a buddy slowly drizzle in the oil while you whisk. Whisk constantly as you add the oil – this could take you up to 12-15 minutes to add and whisk all the oil. As you whisk, the mayonnaise will become thicker and lighter in color. When finished, cover and chill. You can store the unused mayo in the fridge for up to 2 days. You’ll use about half of the mayo in the thousand island dressing so keep the other half for use later on or else you can always make some super fresh, fabulous, and low sodium cole slaw to go along side your sandwiches. We won’t give you a super detailed recipe but if you shred a few cups of cabbage, a carrot or two, add the second cup of mayo and some caraway seeds, you’ll be in good shape for a tasty cole slaw base. Then you can add anything else you’d like! Okay, so this is the one thing we didn’t make homemade for this recipe. But that’s okay! 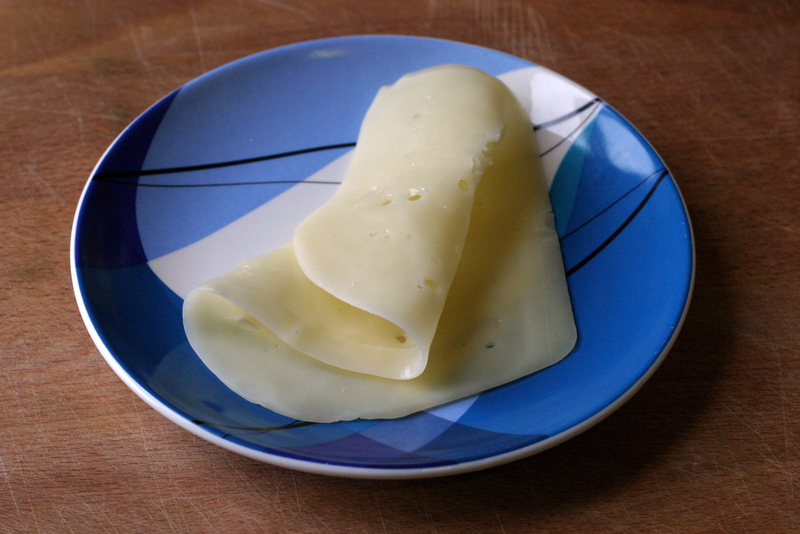 We opted to use Primo Taglio Reduced Fat – Low Sodium Lacy Swiss (found at Safeway in the fancy cheese section) which has 35mg sodium per slice. *phew* Okay. So we made it through the ingredients and the individual recipes. Now the sandwiches and Toas-Tites themselves! Lather up one side of each slice of bread with butter. Whether you’re Toas-Titing or not, a Reuben is best served hot and toasty. 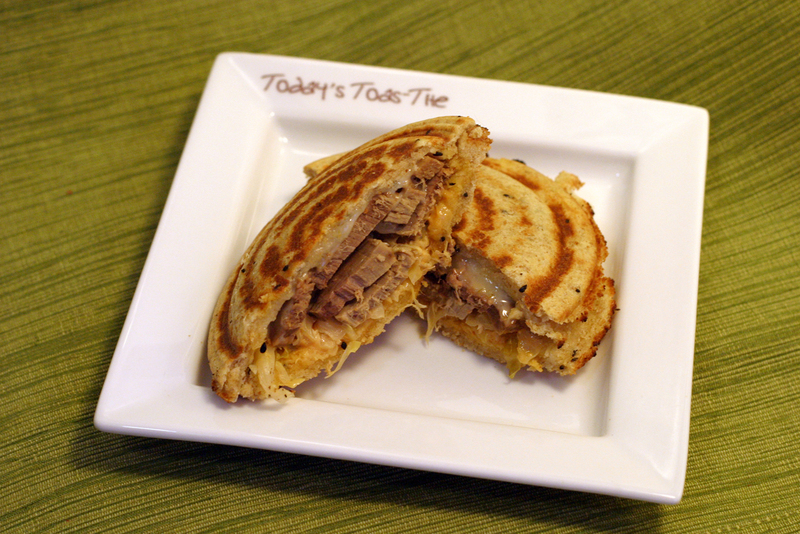 On one slice of bread (not the buttered side), layer the Swiss cheese, sauerkraut, beef, and dressing. 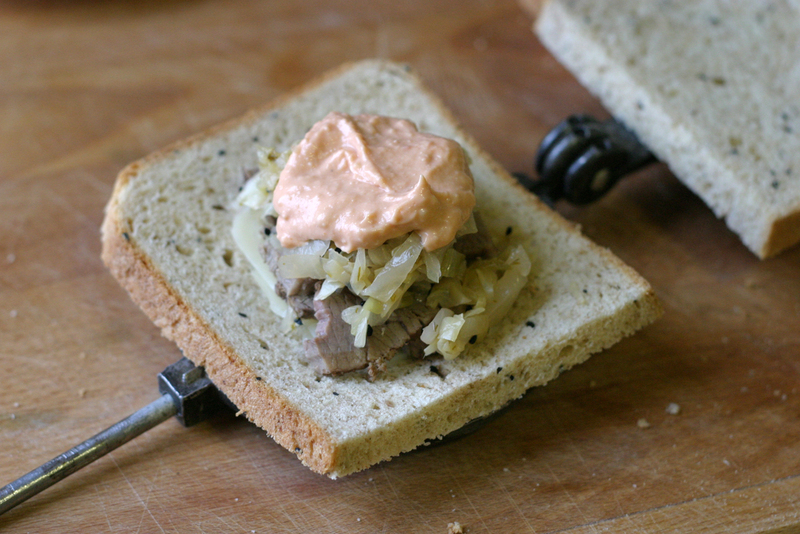 Sandwiching the beef between the sauerkraut and the dressing will help keep the meat moist. Add the other slice of bread on top (buttered side out) and get a skillet ready over medium-high heat. Place your sandwich onto the heated skillet and grill until the bread is a nice golden brown and the cheese is melted. Flip it over and toast the other side of the bread. Serve it up on a plate and get ready for some awesome in your mouth. Toas-Tite version…do the same (just with less filing), just put it in your Toas-Tite grill, trim the excess bread, and toast over medium heat for 3 minutes on each side. Okay! You’re a champ for sticking through to the end of all those recipes. Now I’ll tell you. It’s worth it. It’s really, really worth it. It was such a tasty sandwich, Boy said he may never be able to order a Reuben at a deli again lest he be disappointed. It made an amazing Toas-Tite on top of all that. In terms of heart health, it’s far and away lower in sodium than any “commercial” version you may find – but it’s definitely not low fat or low calorie. But hey – that’s what moderation (and exercise) are for right? As Sodium Girl would say, “chow on.” Eat well. Stay healthy. And enjoy! Thank you for the work you did on this! A safe reuben was something I didn’t expect to find after my CHF, but came across this page looking for a low sodium sauerkraut recipe. The sauerkraut is first, but I expect to be making the rest in short order. We hope you’re feeling better these days, and hope your low sodium recipes are turning out well. Our sister in law is on as near to a no sodium diet as there is, so we know how exciting it is to find a new low sodium recipe. 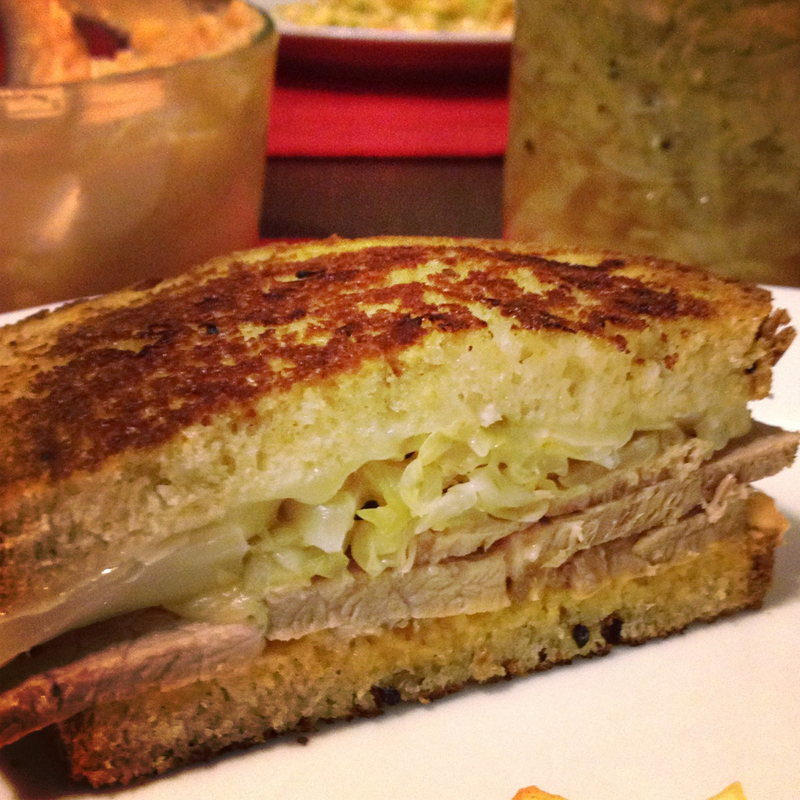 Hopefully you enjoy the sauerkraut and give the reuben a try. Hope you’re well, and tell us how it goes. Well, one step at a time on this. I’ve made both the sauerkraud and the “corned” beef, and both turned out well. I have no doubt the completion will be excellent! Tank you so much for attempting this sandwich! It’s very labor intensive, but one of our favorite creations to date. Thanks so much for giving it a try, let us know how it turns out! OK – I’m definitely going to be making this! It looks SOOOOOOO Good! 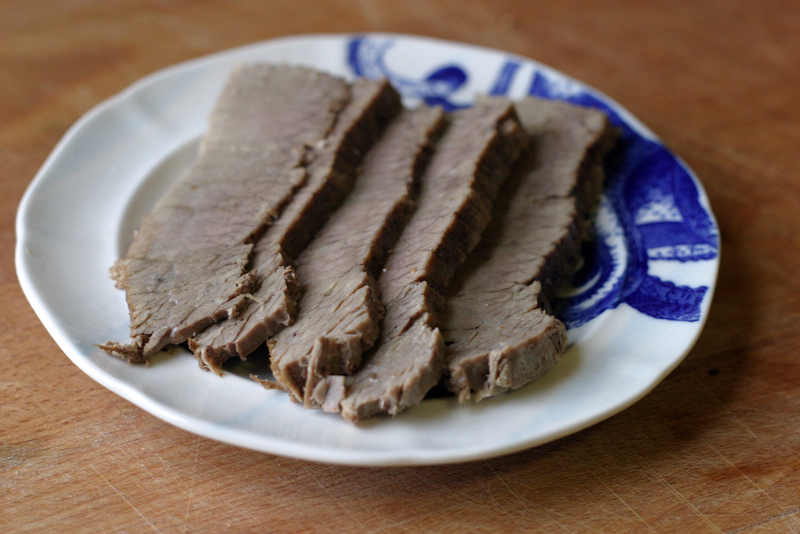 You might want to try the pressure cooker to cook the corned beef. Takes about 45 min and it comes out very nice. We’ve been doing it that way since the 50’s and my parents did it that way since the 30’s. Interesting, we’ve never thought of pressure cooking before, but we are both super interested in the idea. We have a new recipe to try out! Thanks!